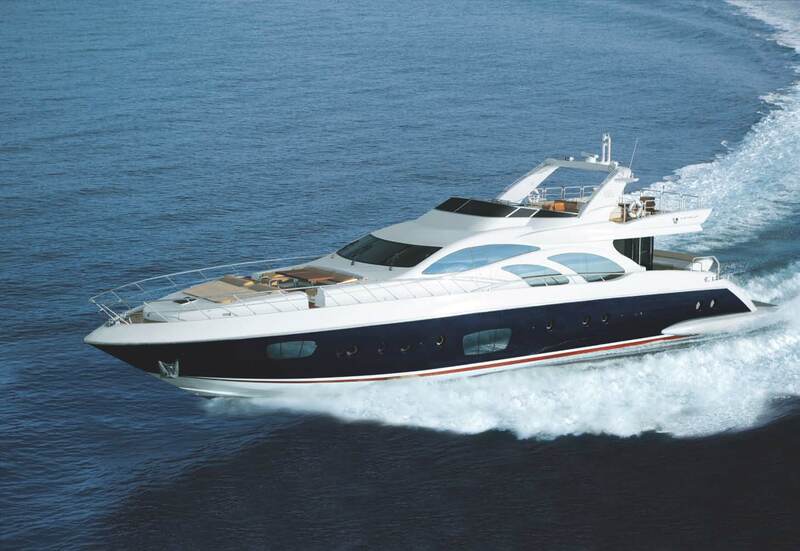 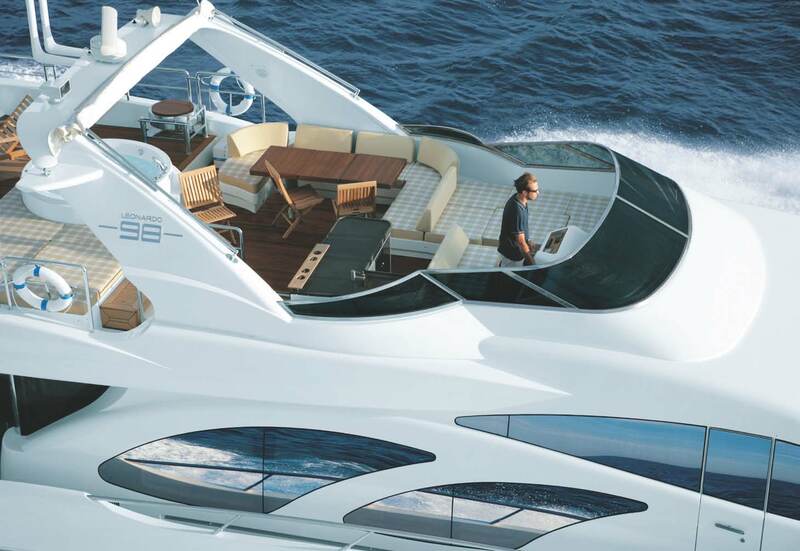 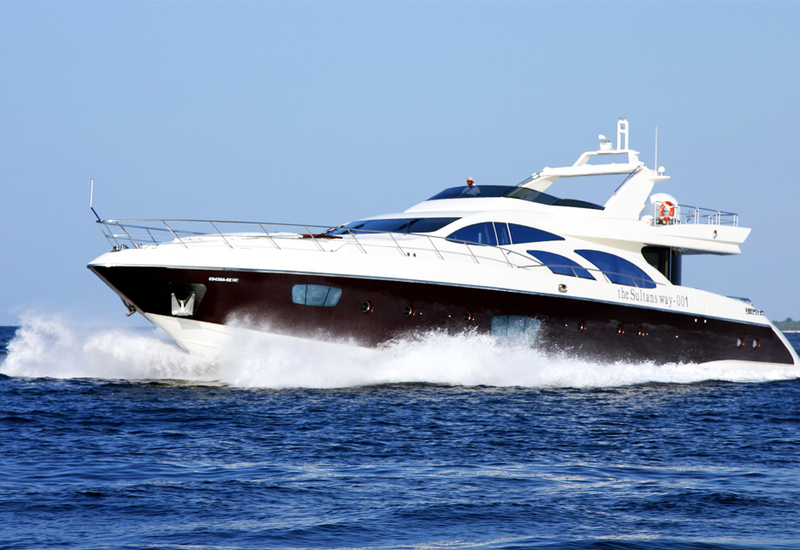 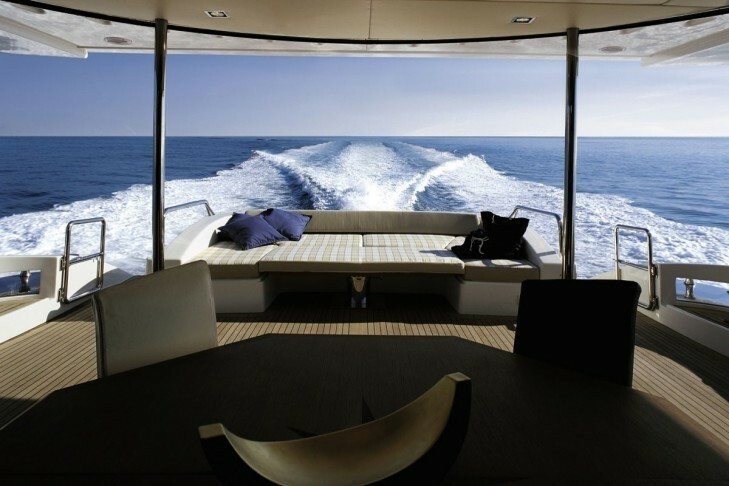 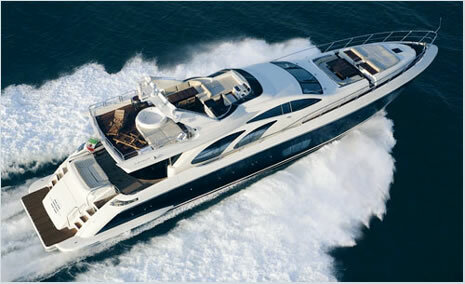 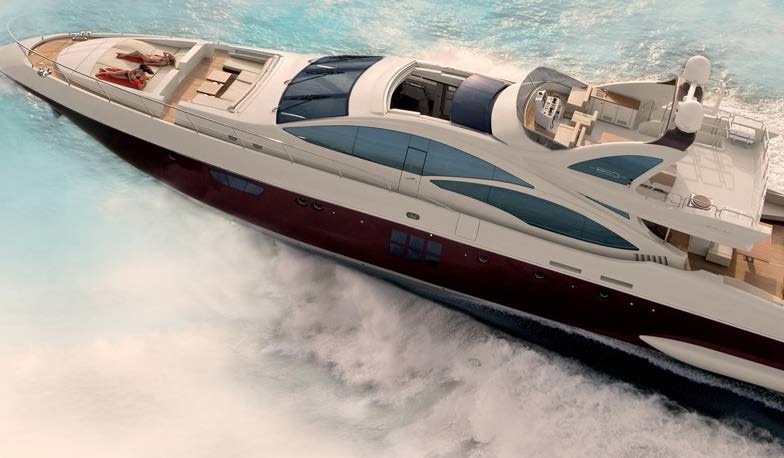 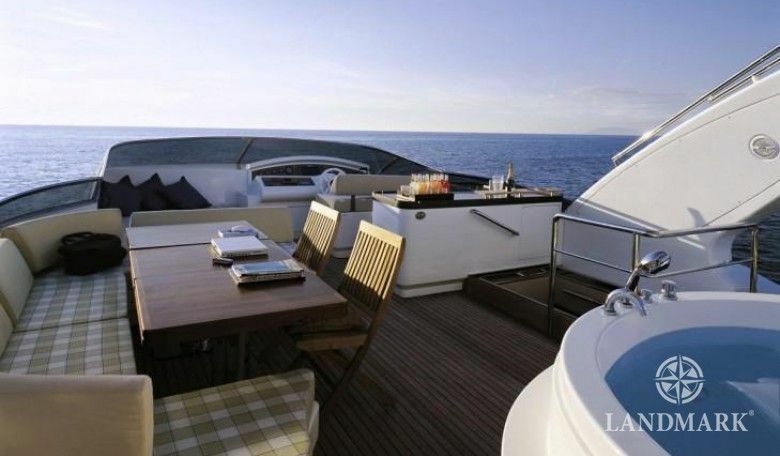 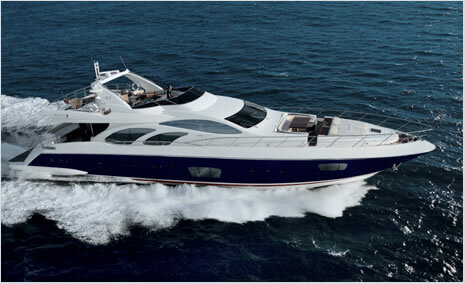 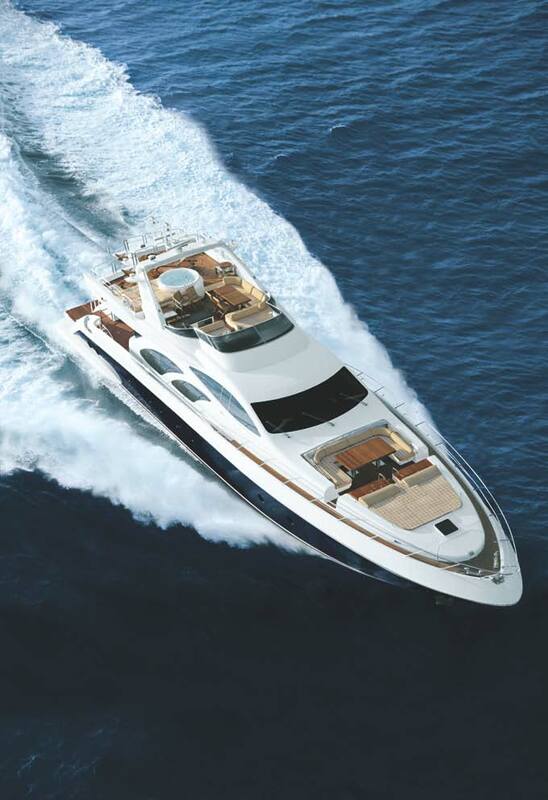 THE SULTANS WAY 001 is an Azimut Leonardo 98 (30,75m (100' 10")) launched in 2007. 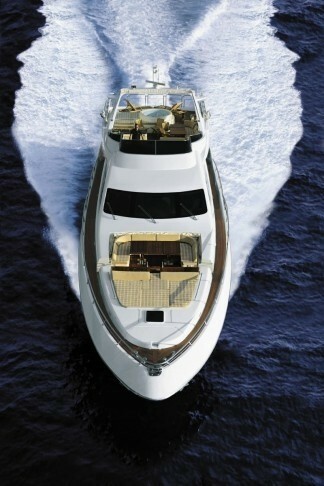 She is part of a trio of yachts named SULTANS OF THE SEAS. 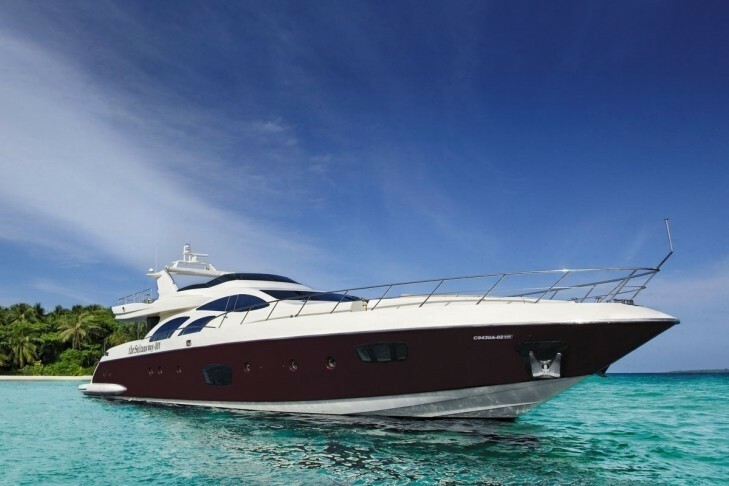 NOTABLE FEATURES: Sleek and fast ~ part of a trio of yachts ~ Jacuzzi on Flybridge ~ Possible Diving instructor on request ~ Very spacious and comfortable. 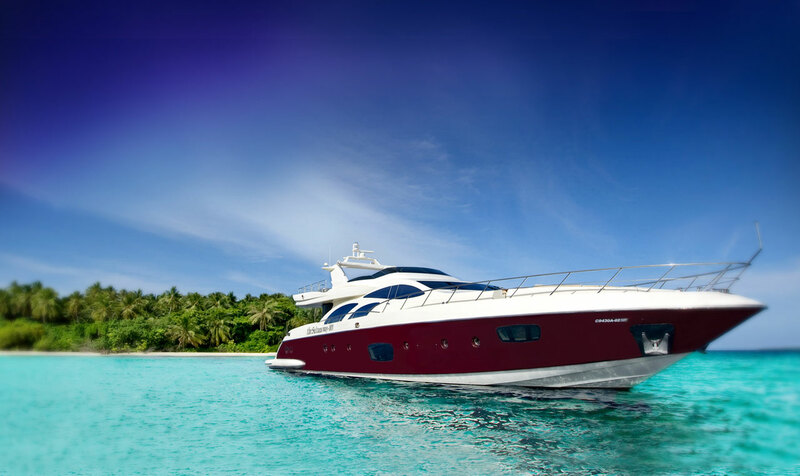 Built to very high standards by Azimut, she is sleek and contemporary in style, with state of the art engineering and the latest safety features. 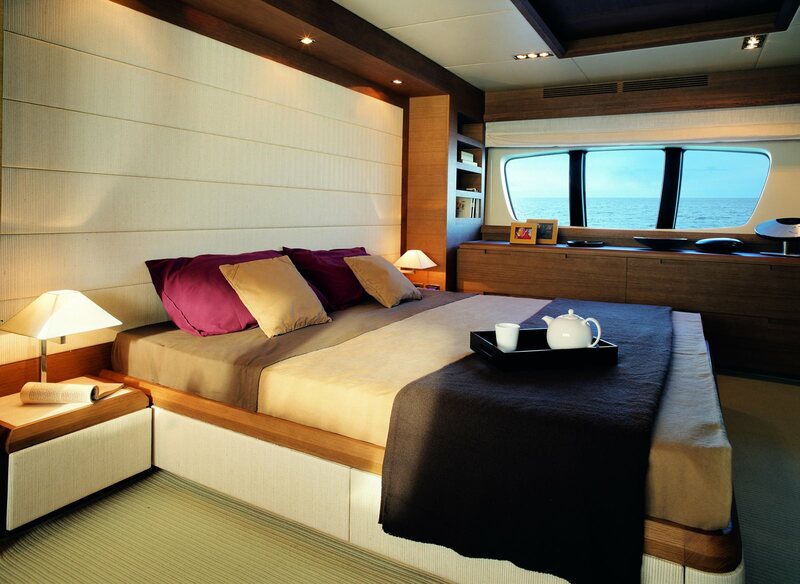 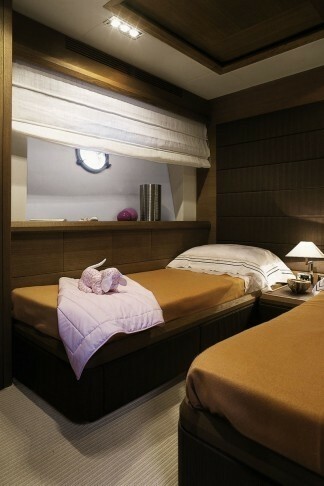 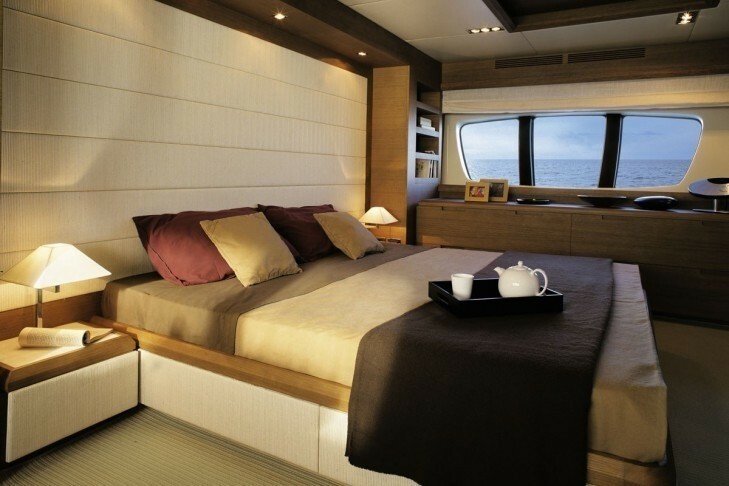 Spacious and comfortable, she is ideal for short and long stays alike. 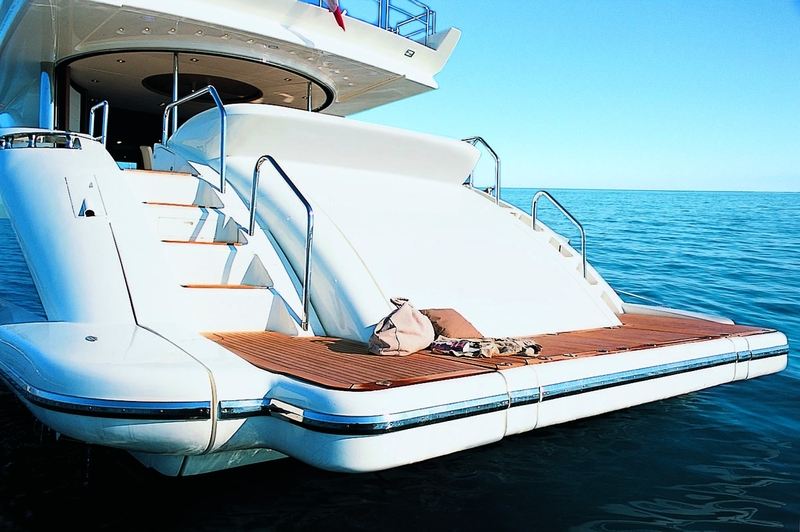 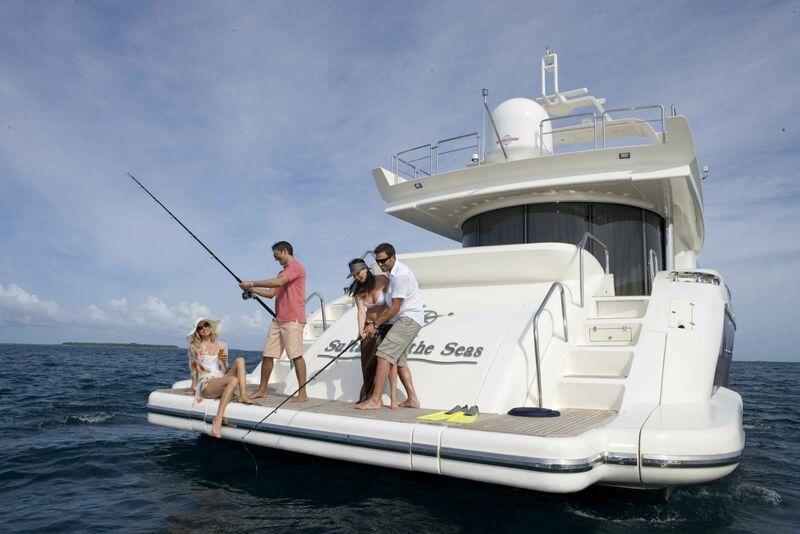 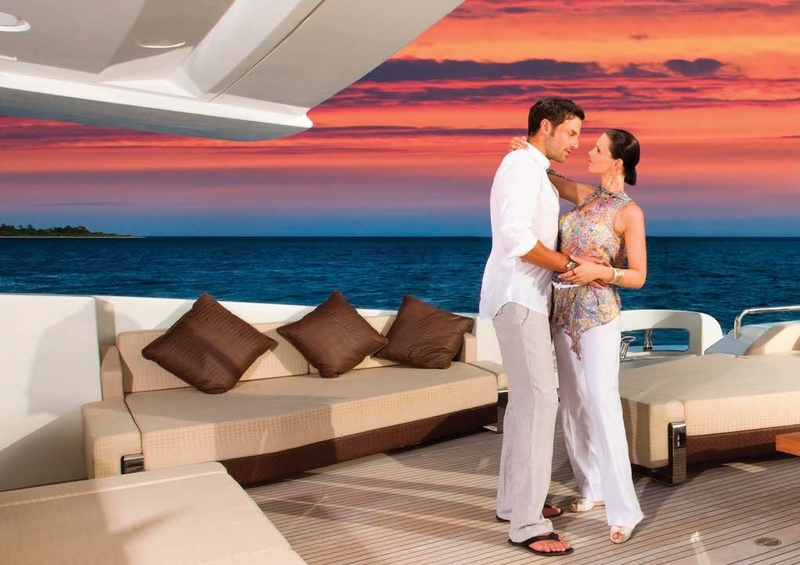 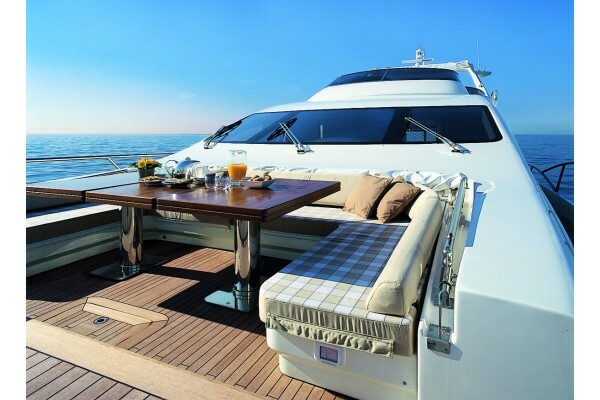 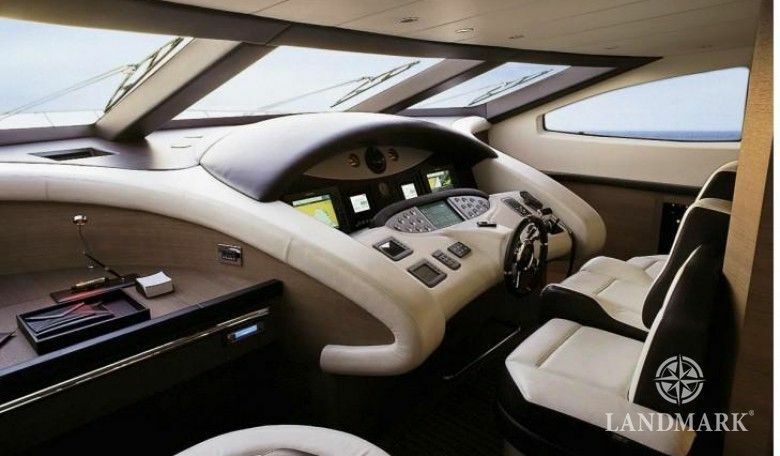 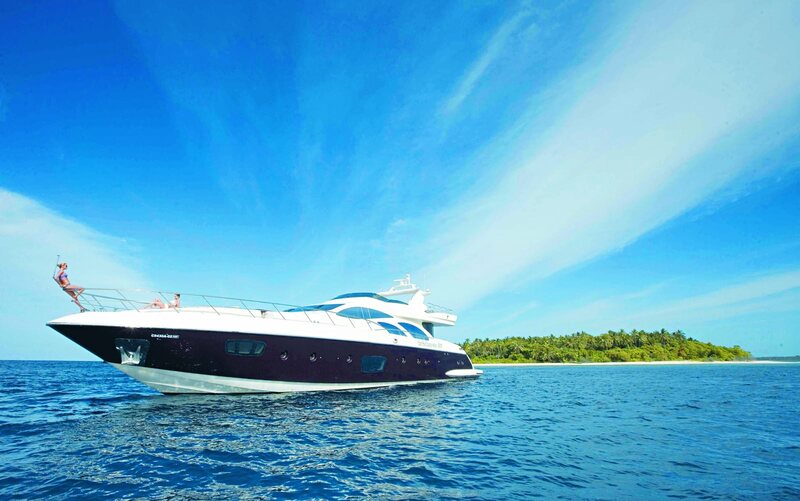 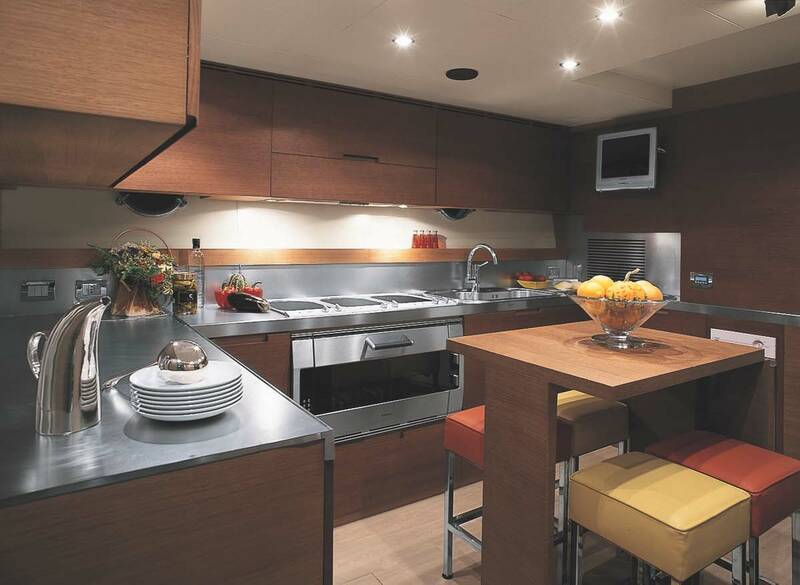 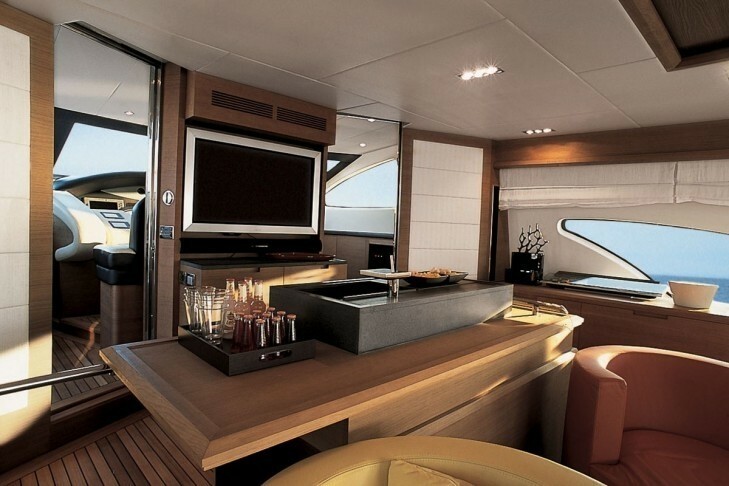 She has a spacious Flybridge with a cocktail bar, hydro-massage tub and stylish sofa. 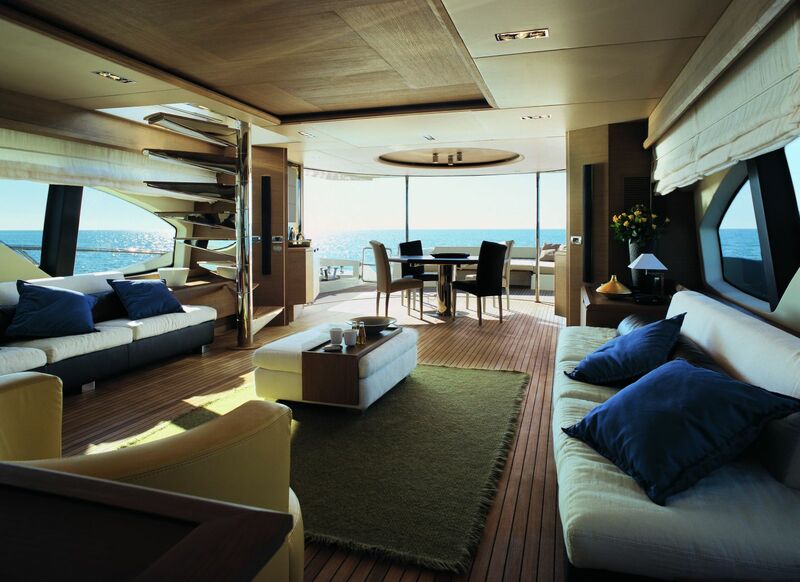 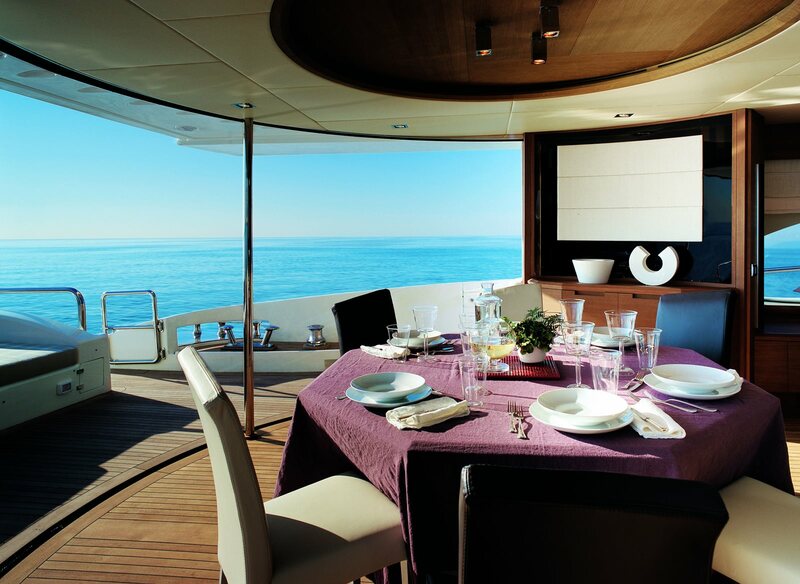 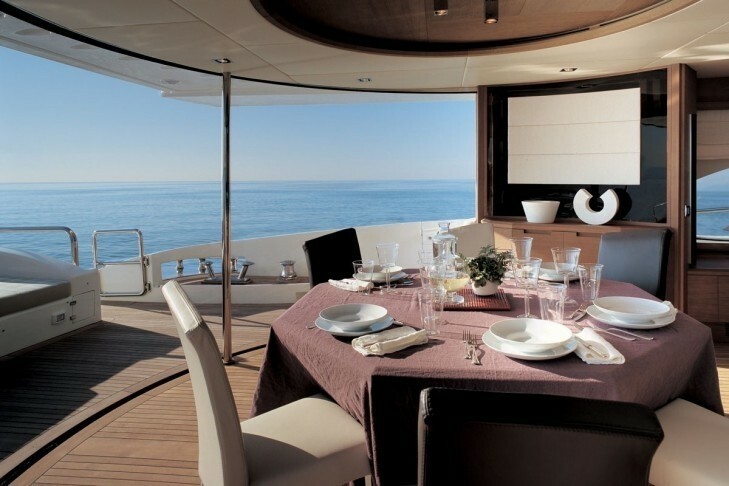 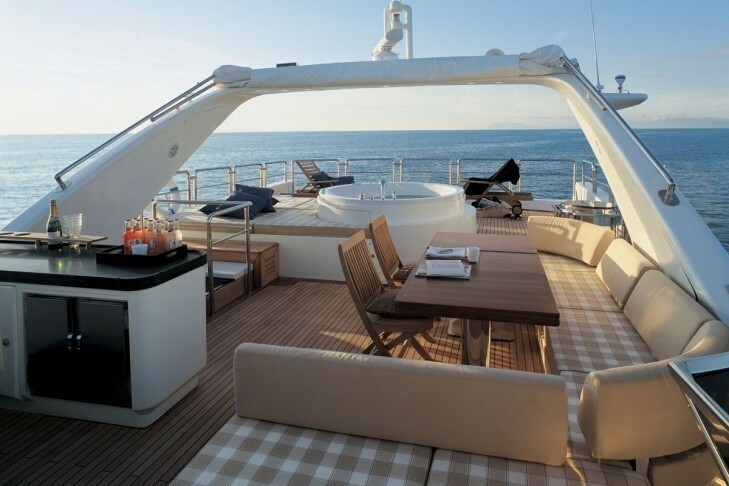 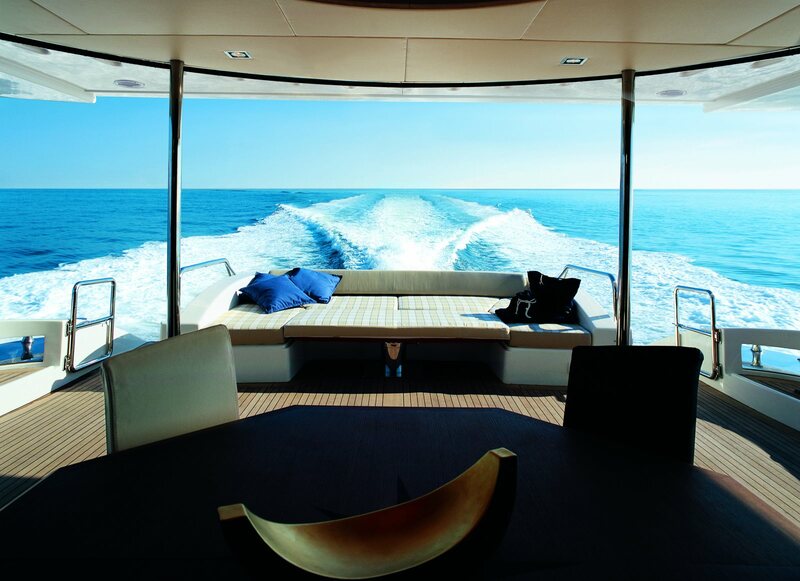 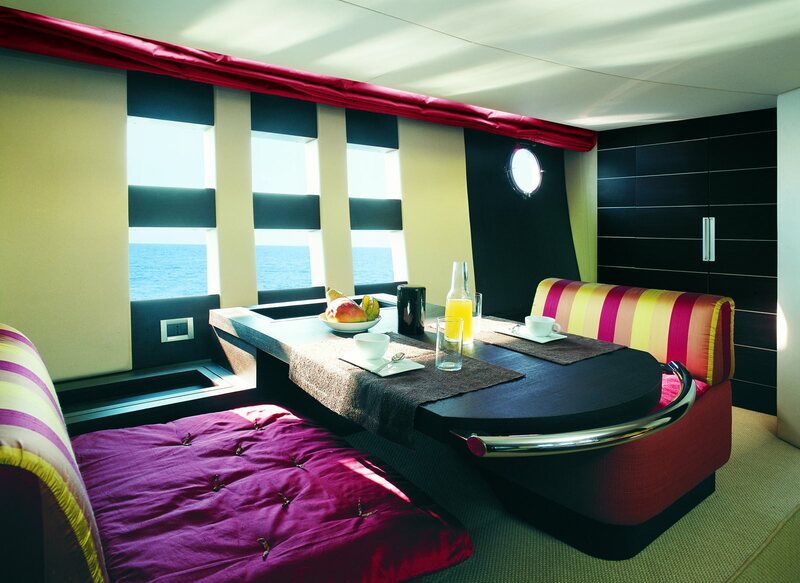 The main deck has a large open-plan salon with a glass wall that slides away to open on to the dining area. 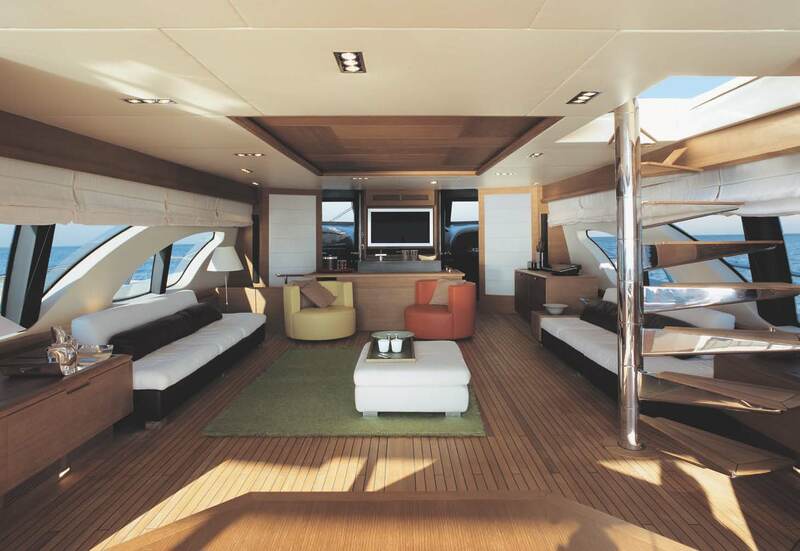 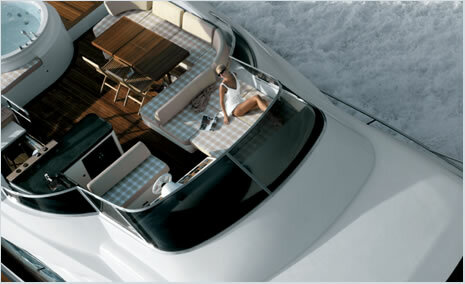 The bow features a sun lounging pad and private living area. There is a private water deck at the stern, where guests can also relax comfortably. 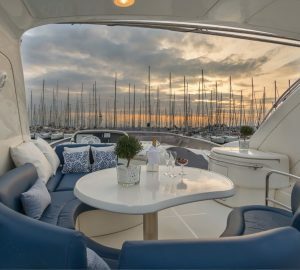 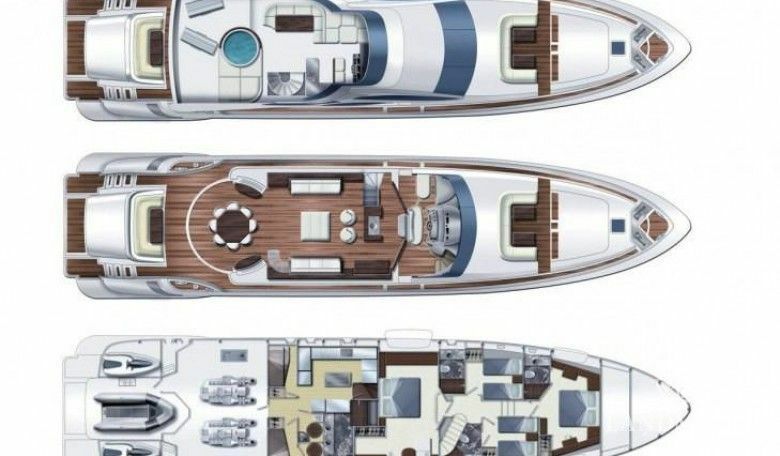 THE SULTANS WAY 001 offers accommodation for up to 8 charter guests overnight in 4 large cabins: 2 of which are very generous with double beds and 2 have 2 Twin beds with pullmans. 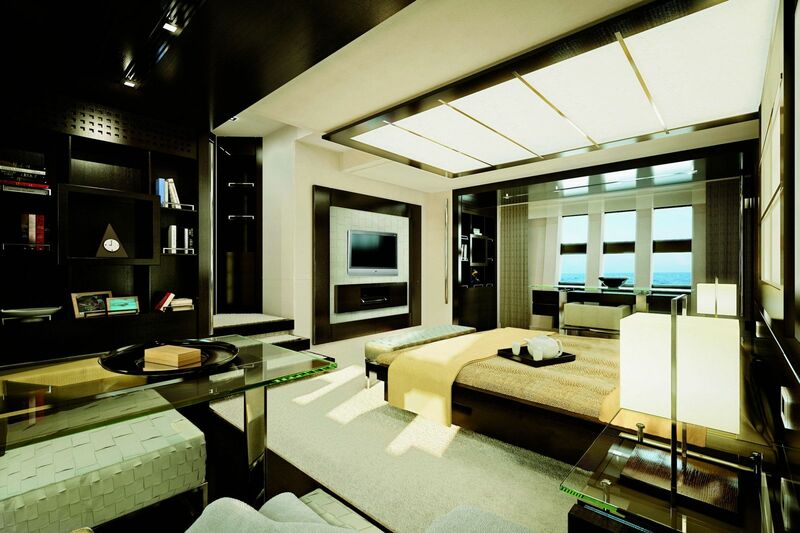 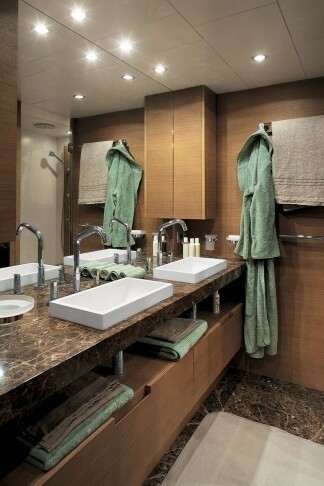 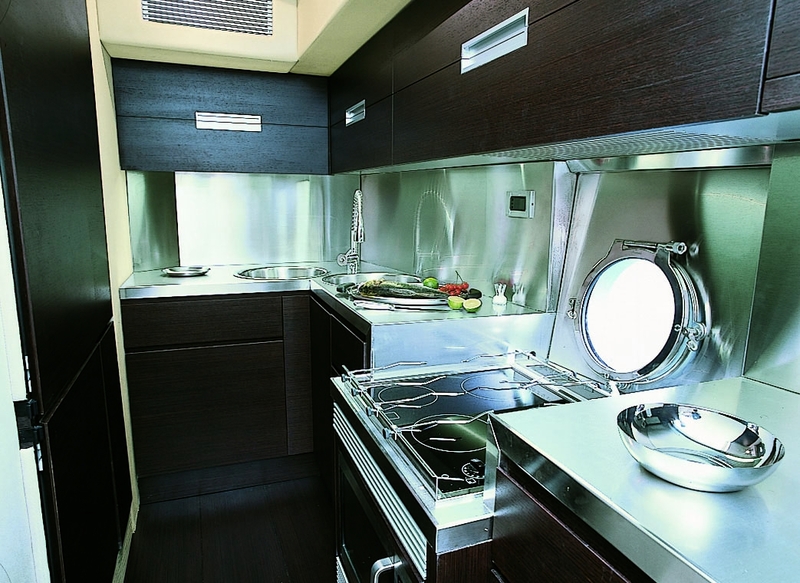 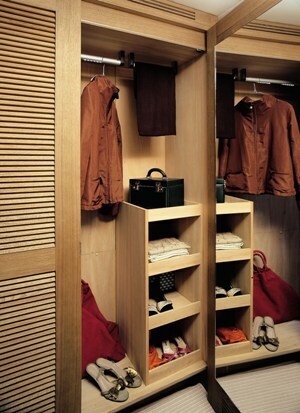 They all have sumptuous interiors with ensuite bathrooms and are fitted with Bang & Olufsen lifestyle entertainment. 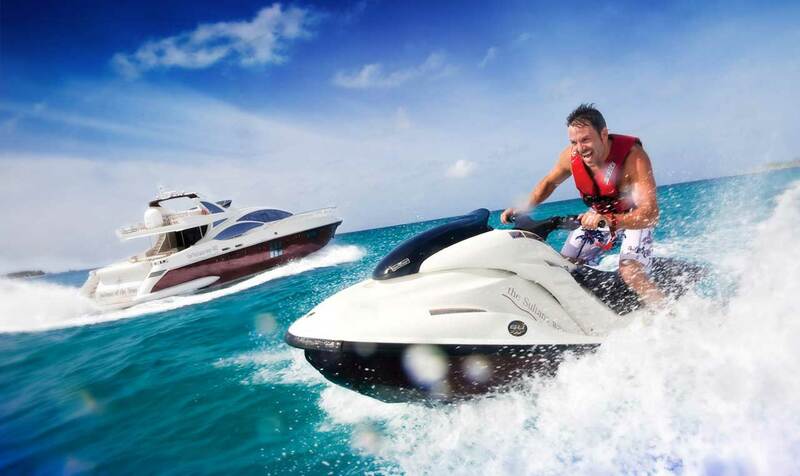 THE SULTANS WAY 001 has the following extras to enjoy while onboard: Her Tenders & Toys include a Jet Tender, 2 jet skis and various water toys. 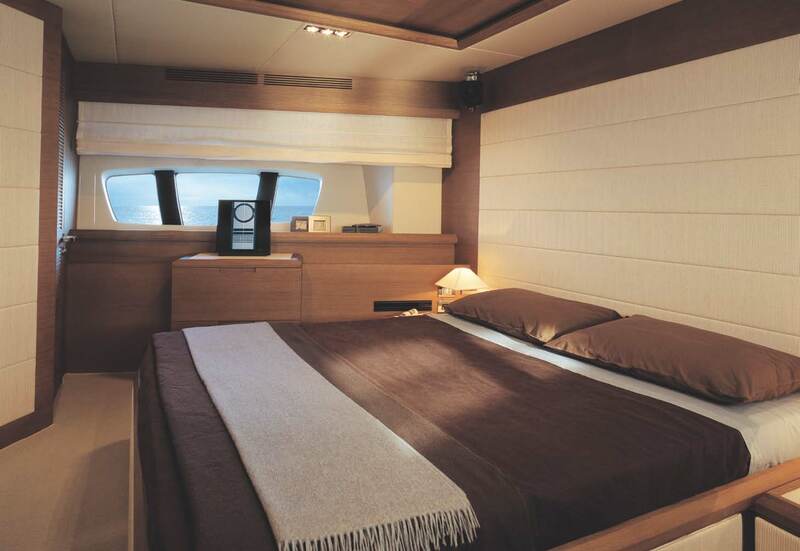 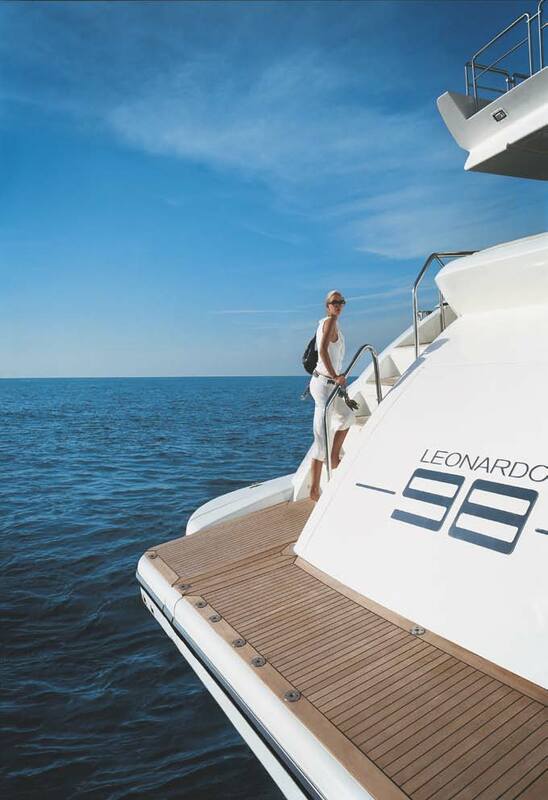 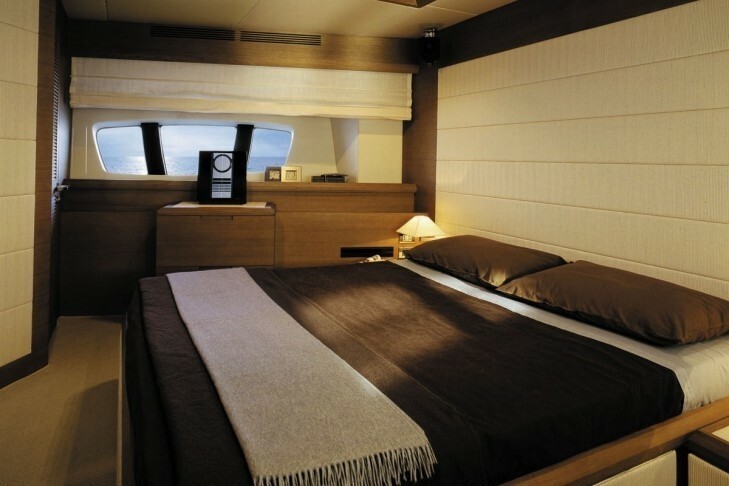 Her Audio Visual Equipment and Deck Facilities include a Bang and Olufsen sound and video system as well as flat screens in cabins.